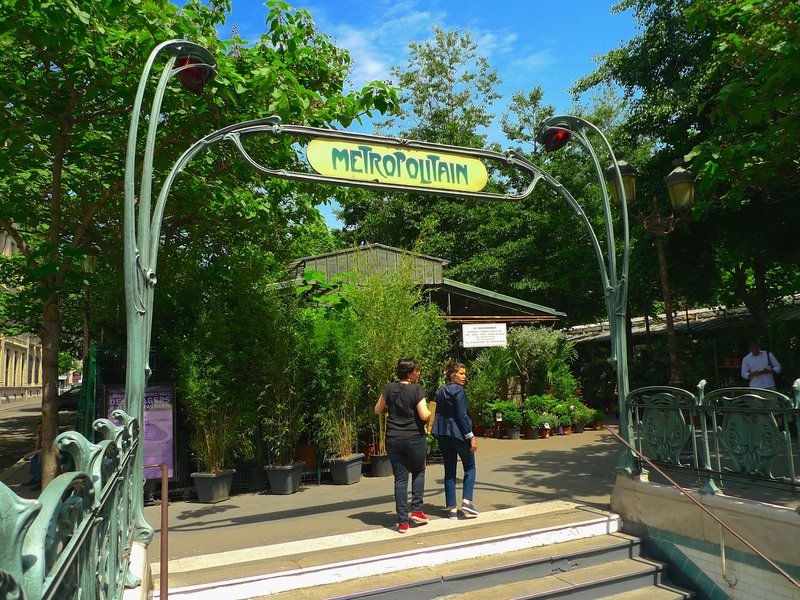 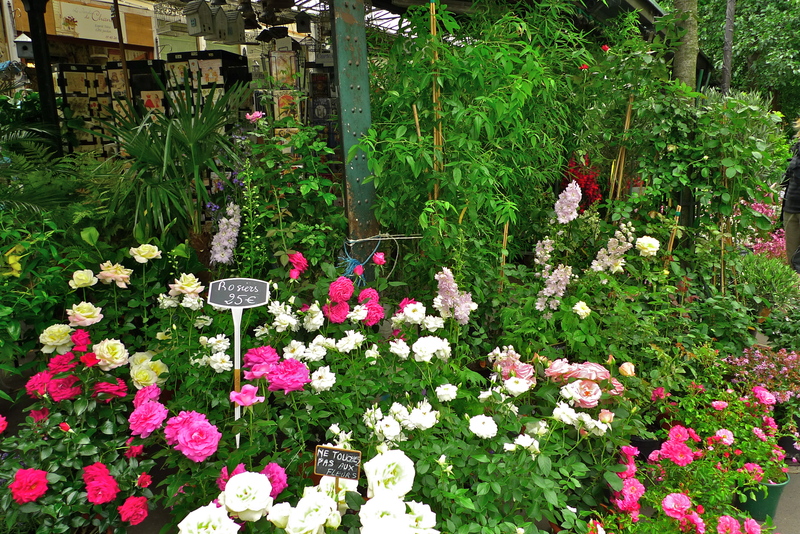 CLOSE TO NOTRE-DAME cathedral and bordering La Seine, the Marché aux Fleurs – the Paris Flower Market – in the Place Louis Lépine, has been here since 1808. 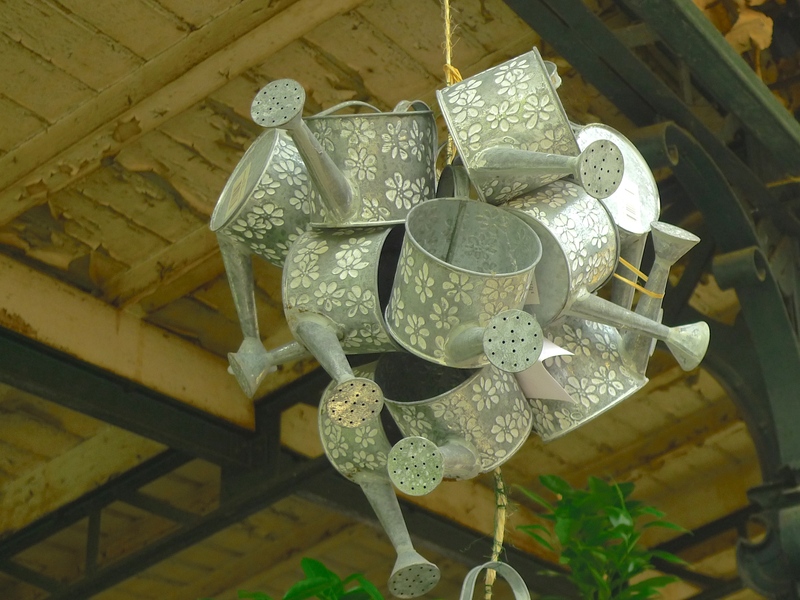 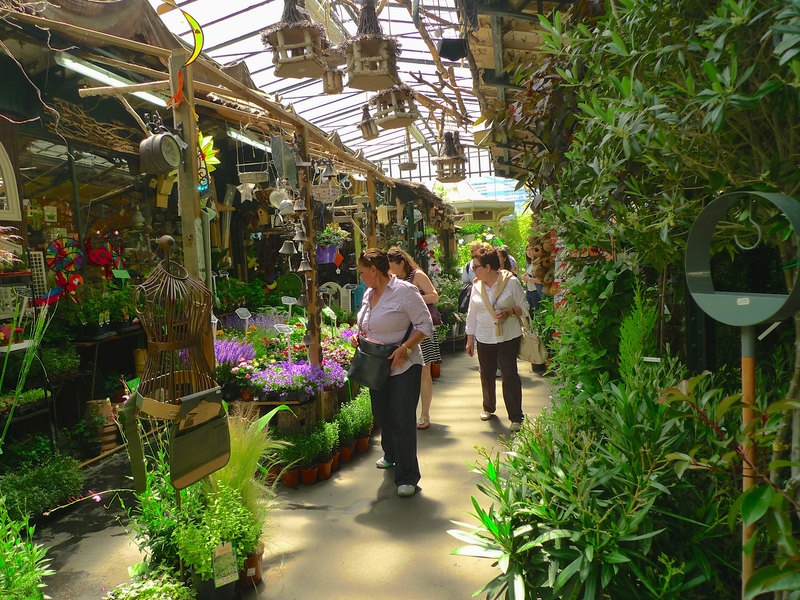 The market is housed in iron pavilions each with a glass roof and it offers a wide range of flowers, plants, shrubs and garden accessories. 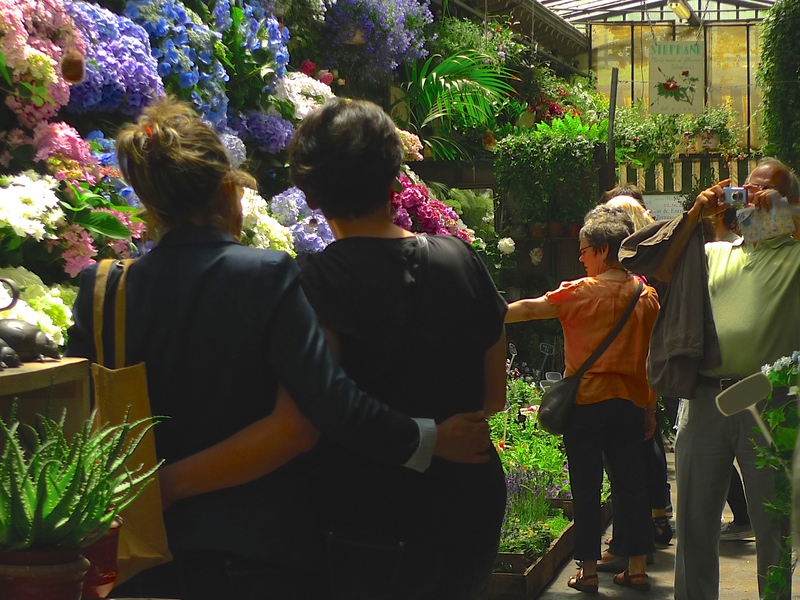 Like most places in Paris, the Marché aux Fleurs winds down during the August holidays and, whilst some of the shops and stalls are closed, there is still some activity although much less so than at other times of the year. 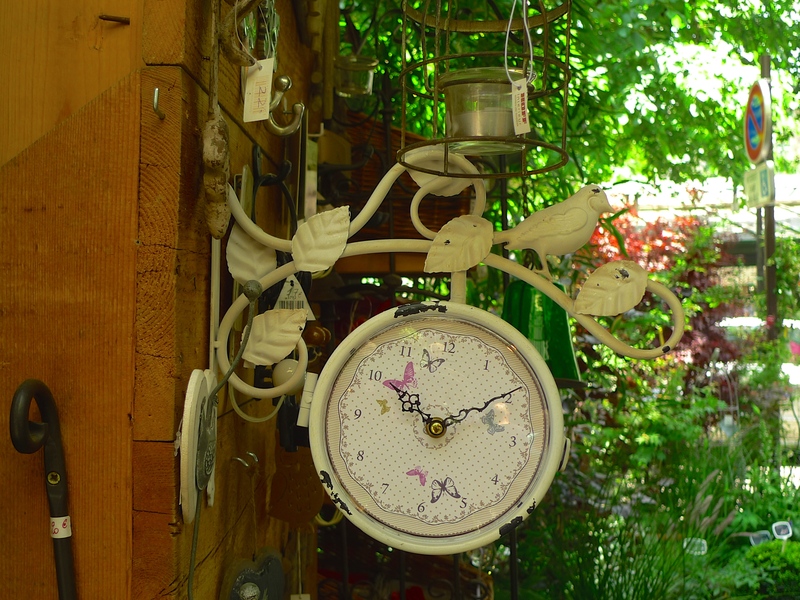 This proved to be a plus for your sound hunter. 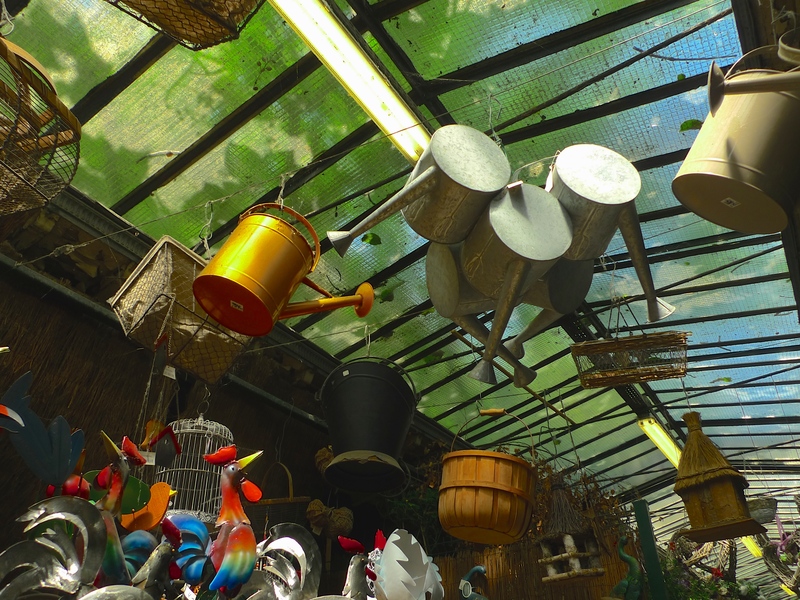 I went to the market on Saturday and without the usual bustle of the crowds I was able to capture sounds that otherwise would have probably gone unnoticed. 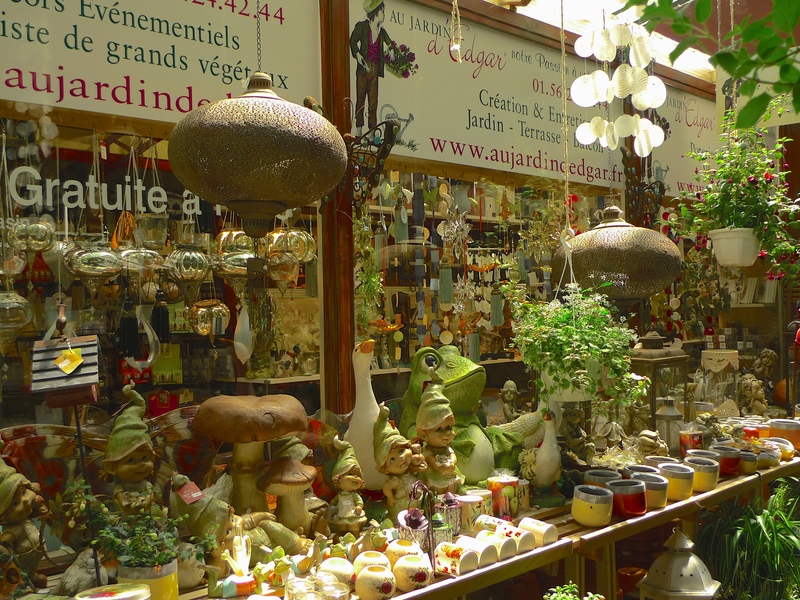 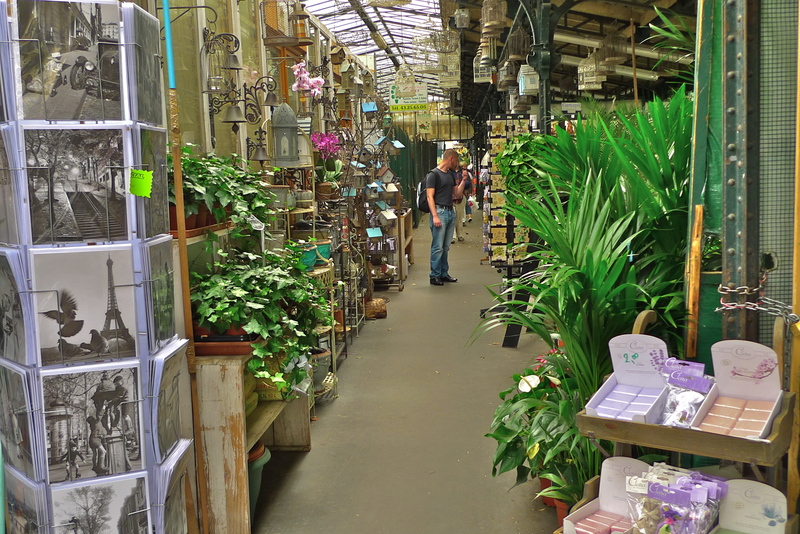 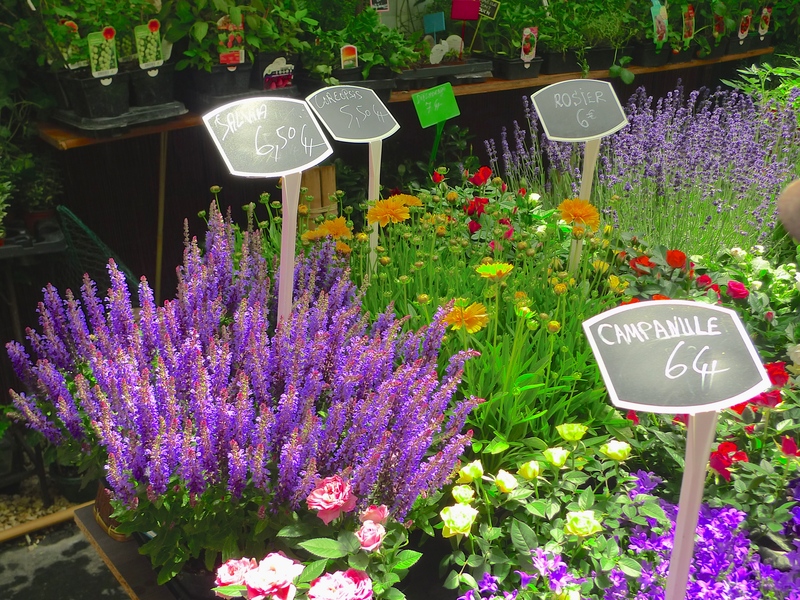 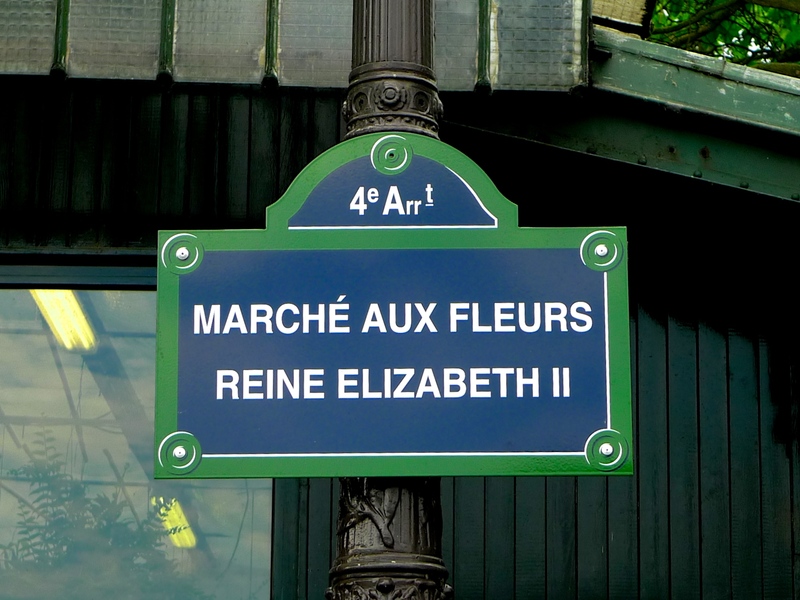 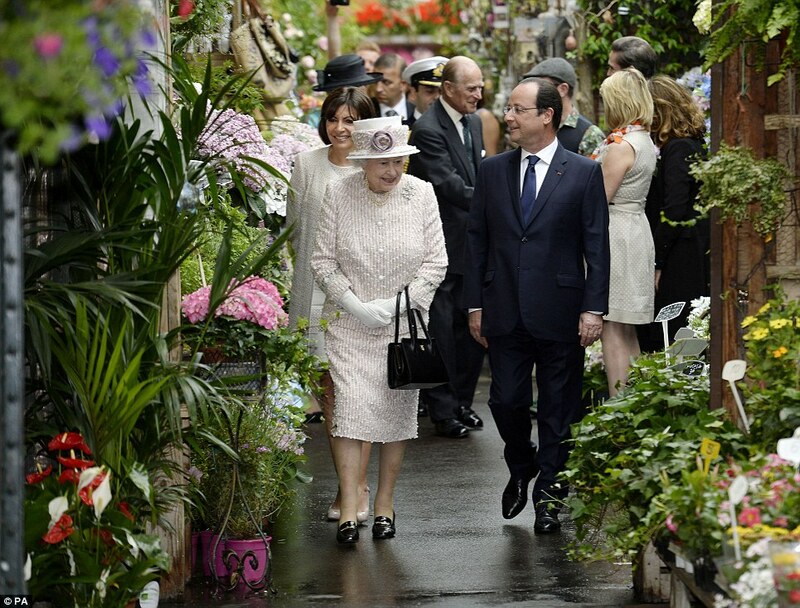 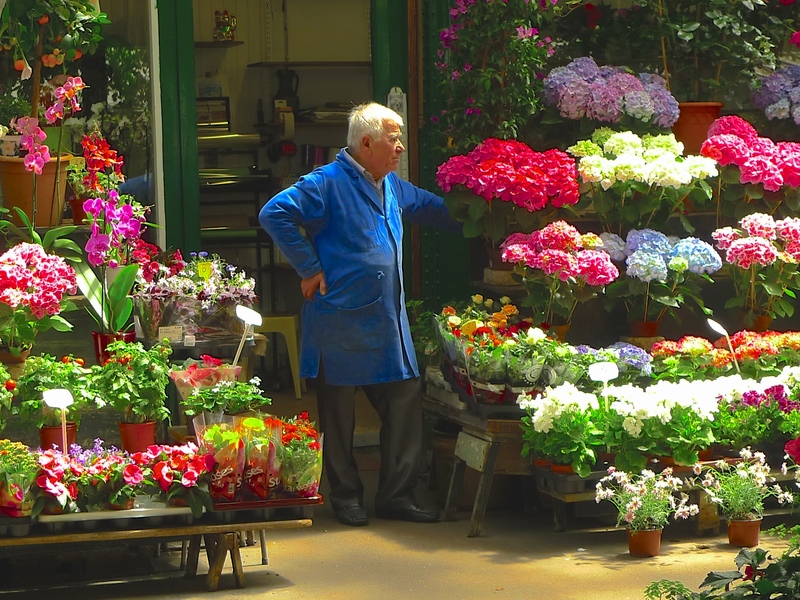 Despite its name, the Marché aux Fleurs is not just about flowers. 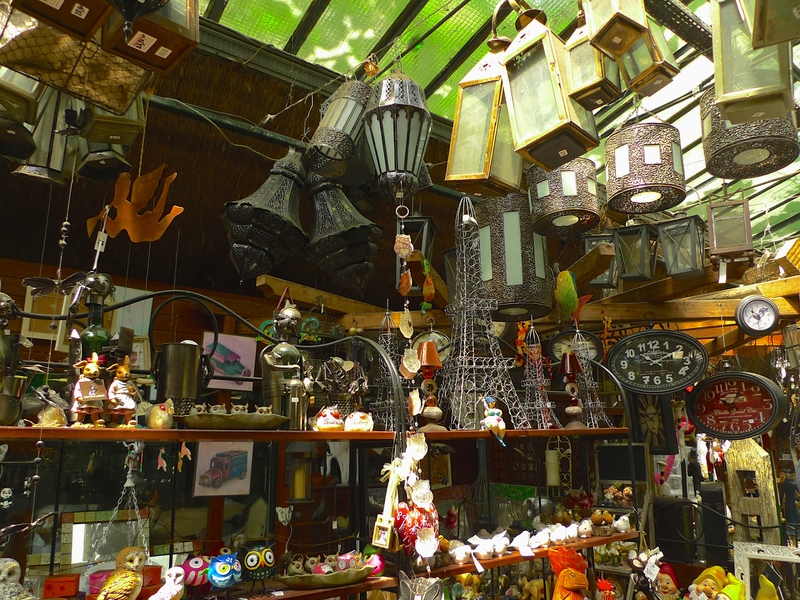 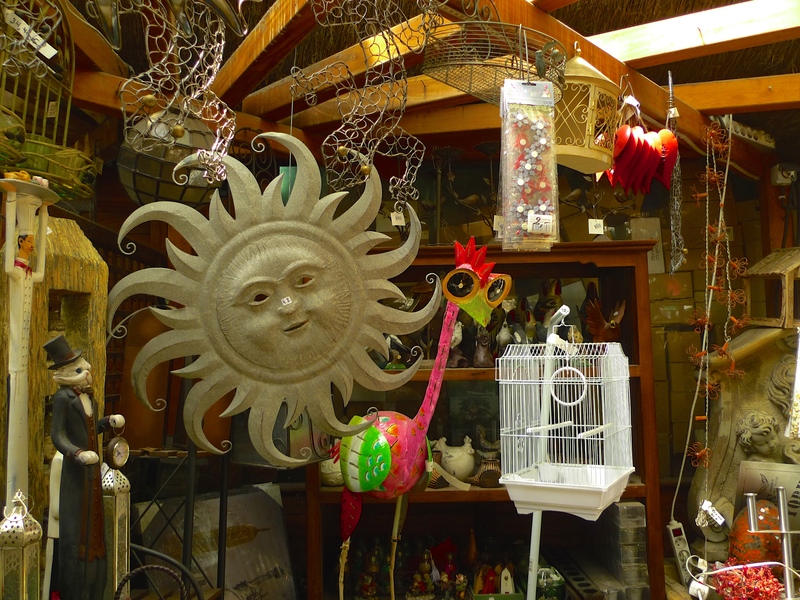 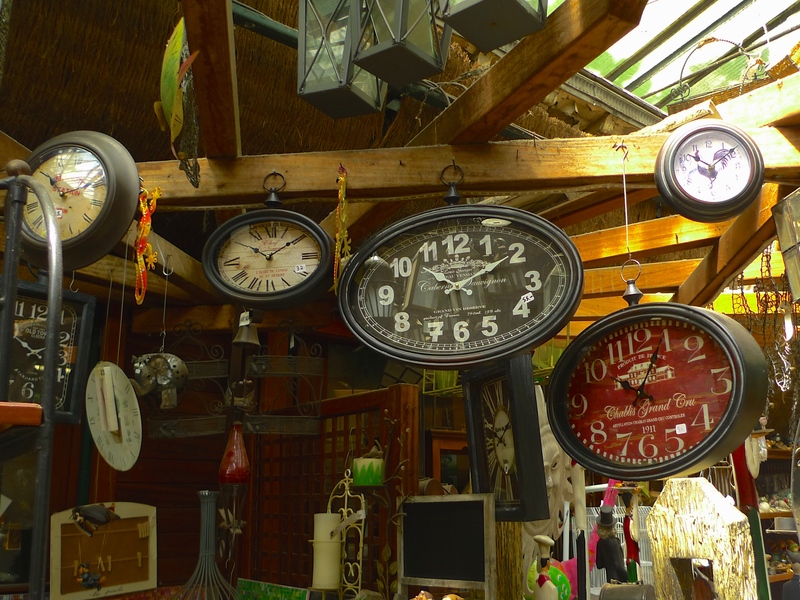 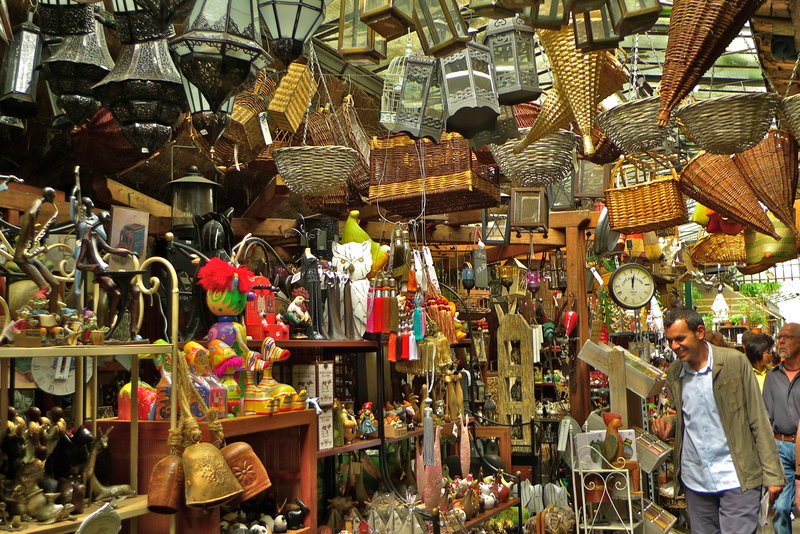 It’s also a flea market as the shop pictured below illustrates … a wonderful cornucopia of hidden treasures. 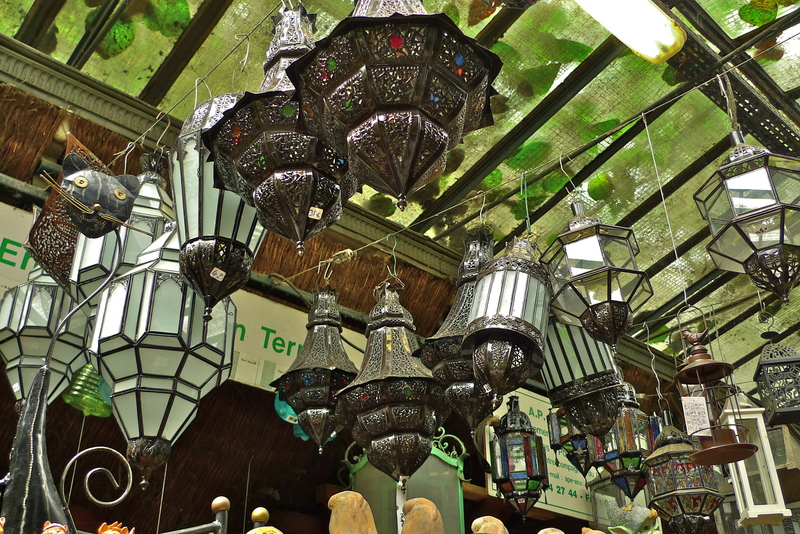 I especially liked the lanterns. 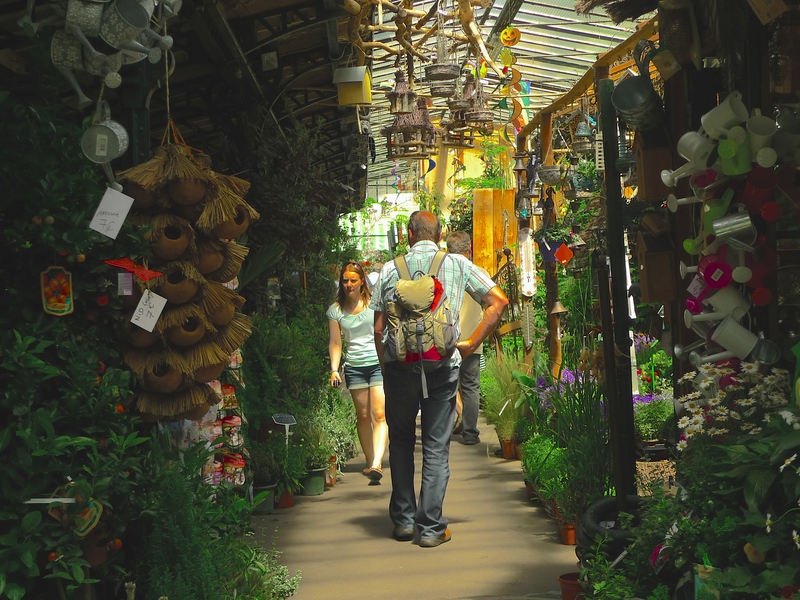 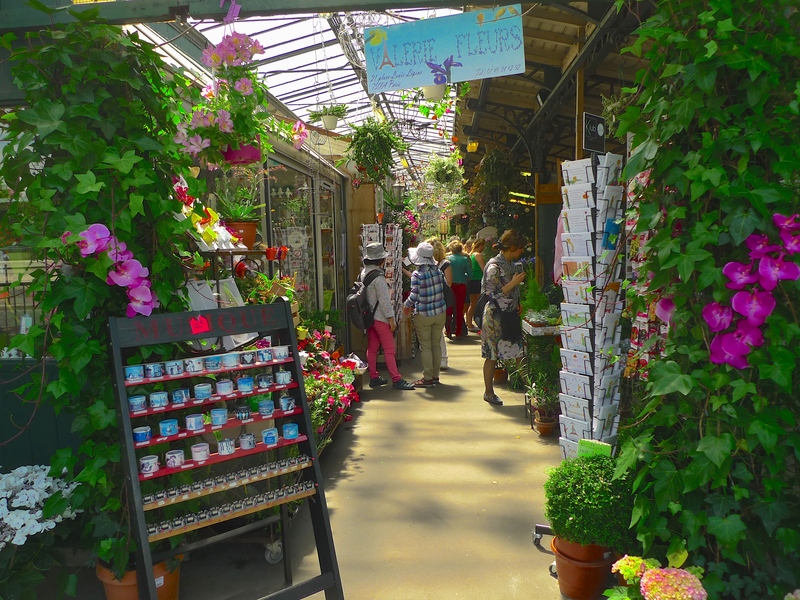 On Sundays, the Marché aux Fleurs takes on an additional guise when it also becomes the Marché aux Oiseaux – the bird market, where you can find colourful and exotic birds and all the accoutrements to go with them. 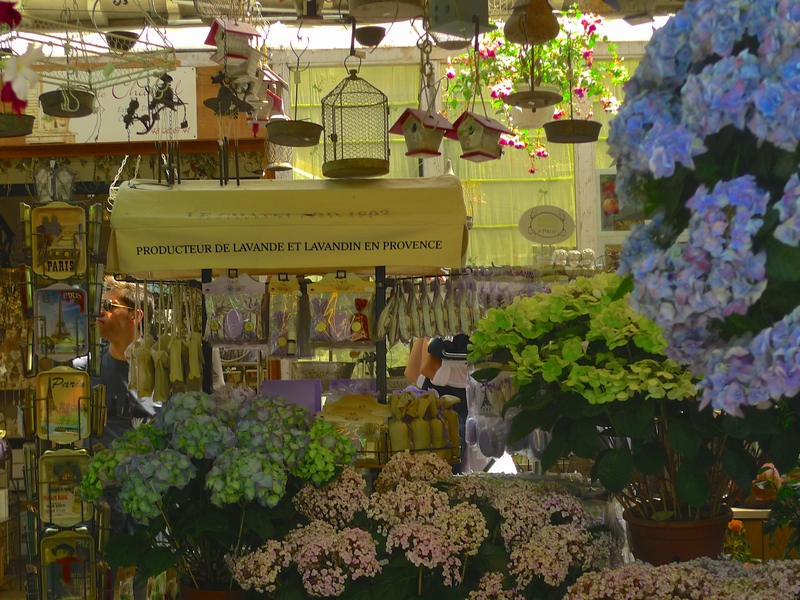 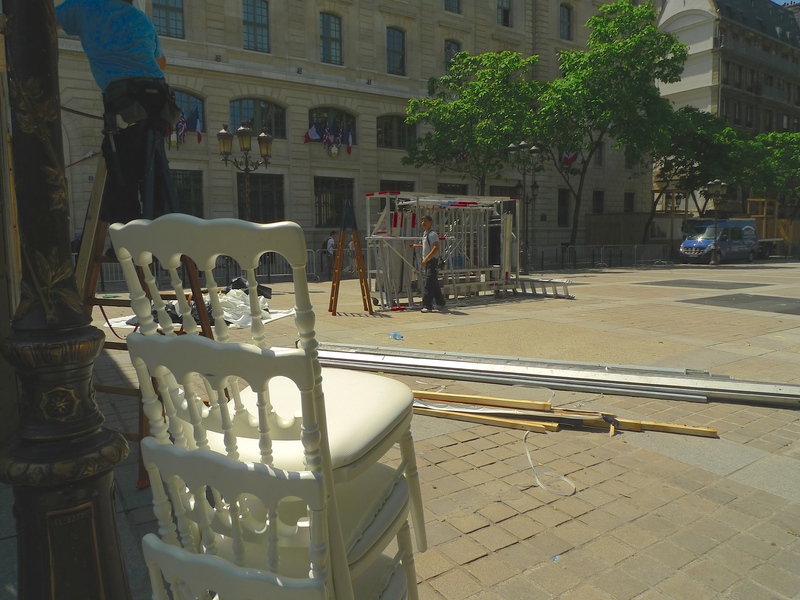 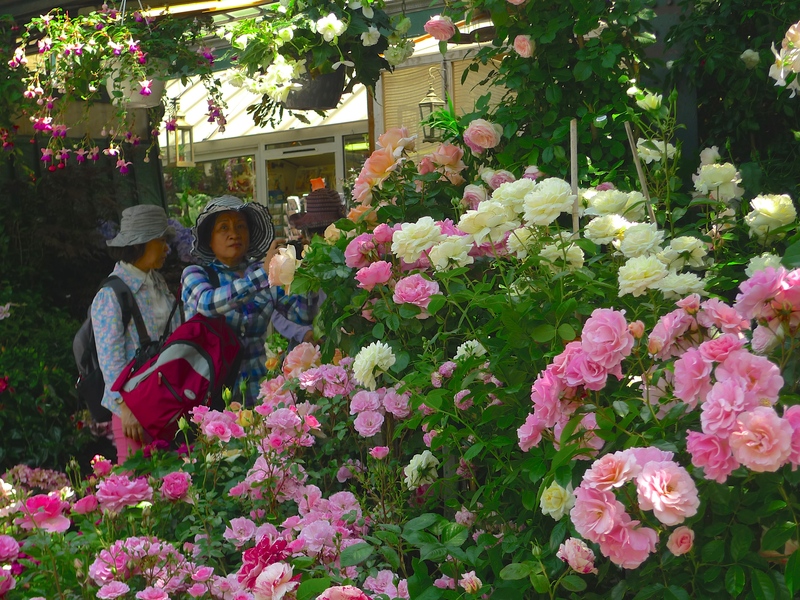 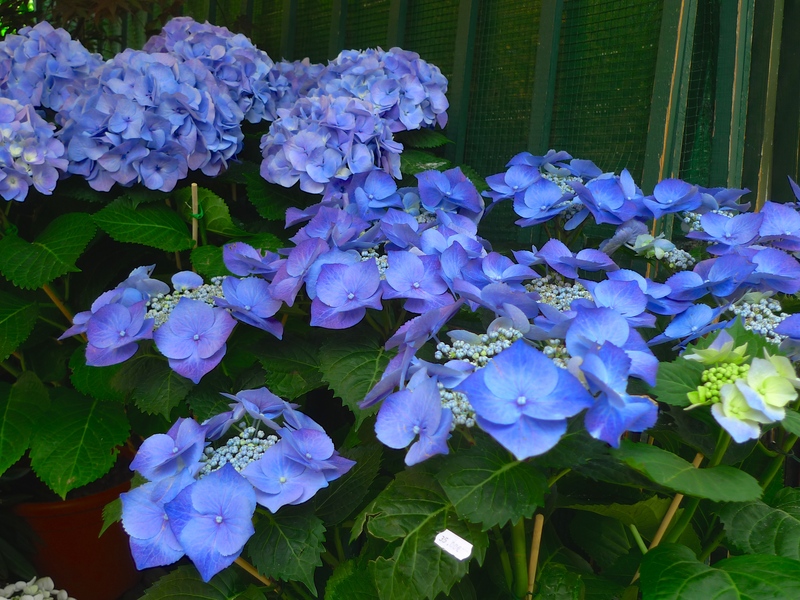 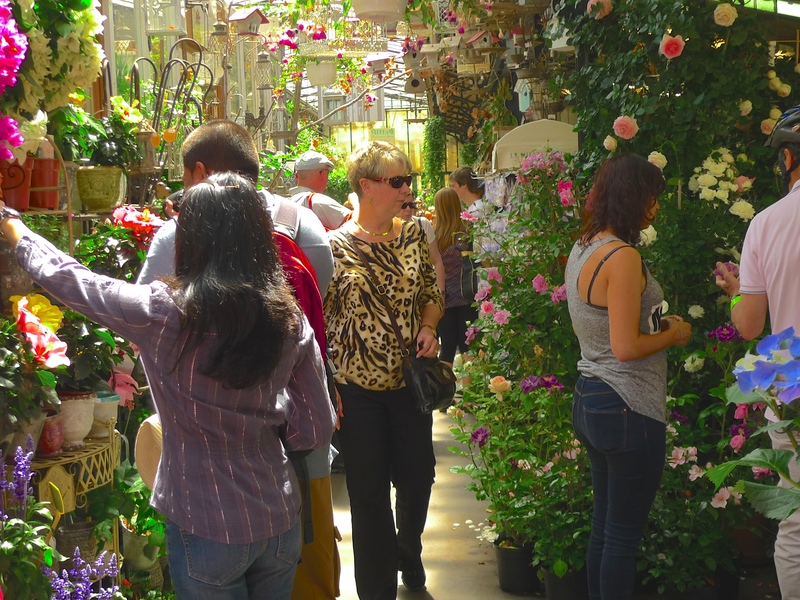 The Marché aux Fleurs is open every day from 8 am to 7 pm. 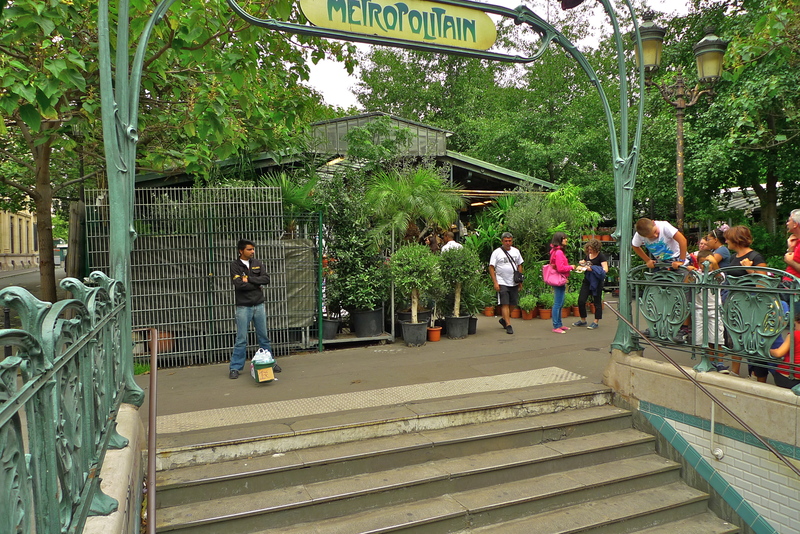 The nearest Metro station is Cité on Line 4. 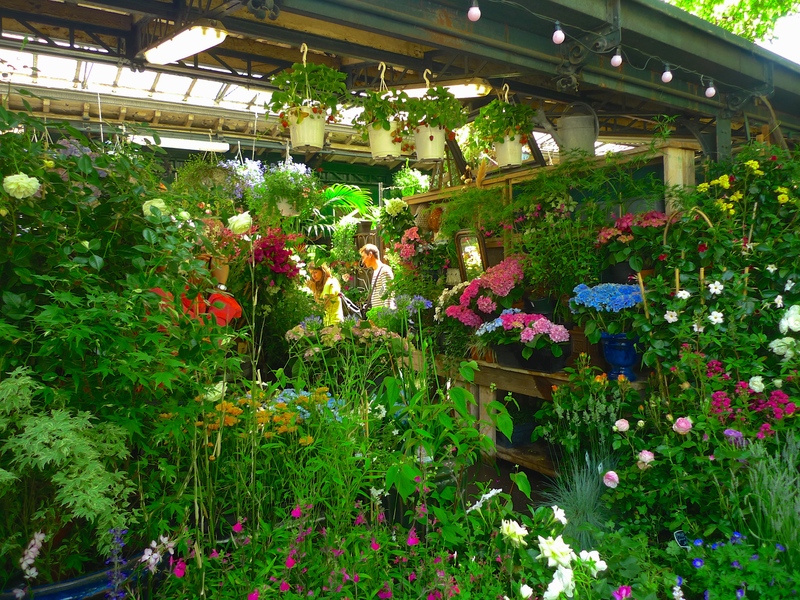 Click here to see the flower market paintings of Victor Gabriel Gilbert.